Within the last few months we watched the horror unfold that resulted from an earthquake that blasted Haiti and created incomprehensible devastation, including the loss of thousands of lives. Just before the Haiti earthquake, an even larger earthquake on the Richter scale hit California, though the location and superior superstructure of buildings prevented the massive loss of life that took place in Haiti. Shortly after the earthquakes rocked Haiti, a larger earthquake created devastation and took lives in Chile. During this same time period, volcanos have erupted. Who can forget the recent destruction and loss of life caused by Hurricane Katrina, even here in the USA where we think we are better prepared? In the last few weeks a number of people have been killed here in the mid-west by destructive tornadoes. What is going on? Even non-Christians are asking me about it. "Pastor, doesn’t the Bible say this kind of thing is going to keep happening and even get worse in the end times?" I’m generally an optimist. I like to think of "whatsoever things are lovely, whatsoever things are of good report," things of "virtue," and things worthy of "praise" (Phi. 4:8). 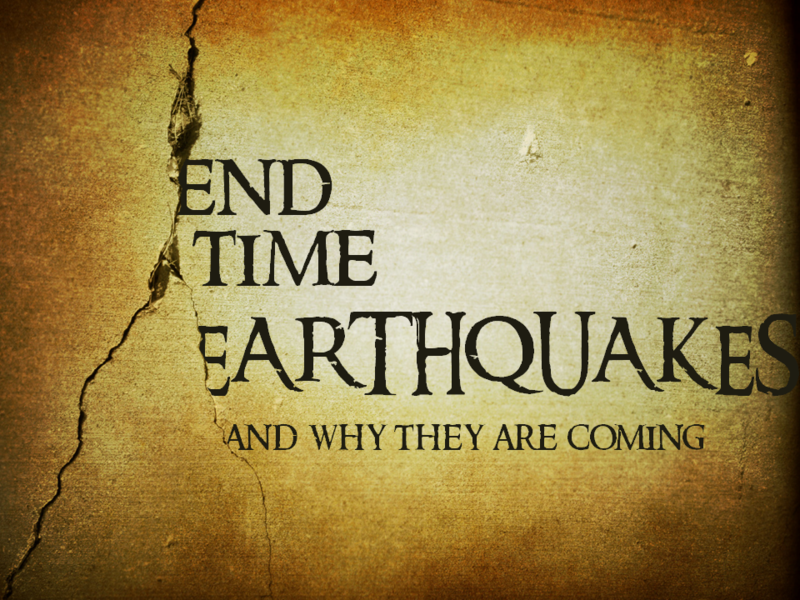 But to be realistic, and biblical, yes, we are warned these natural disasters are going to get worse until they come to a climax of God’s judgment during the soon to come Tribulation! This morning I will take you into the heart of the Apocalypse and the great earthquake that these "little ones" are "rehearsing" for. Not only will we see what the Bible says is going on and what is going to happen, but we will also look at why God’s Word warns us it is coming and how that can affect us and even help us be prepared!